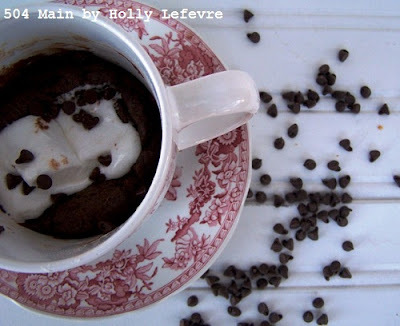 Yesterday I shared a recipe for Molten Marshmallow Fudge Cake in a Mug. While I remember something similar from my childhood, I had forgotten how yummy and fun these are to make...and now I am kind of hooked on these easy peasy single serving fresh from the (microwave) oven treats! So, of course, I had to try more...but this time a cookie! The cookie is very much inspired by Melissa at No. 2 Pencil. As I searched for a basic cookie recipe (in a mug) too alter and make my own, Pinterest, and basically everyone else said Melissa's recipe was the bomb. So that is where I started. Add the sugar and brown sugar; mix well. Add the salt; mix well. Add the egg yolk; mix well. Add the flour; mix well. Add 1 1/2 tablespoons of Oatmeal; mix well. 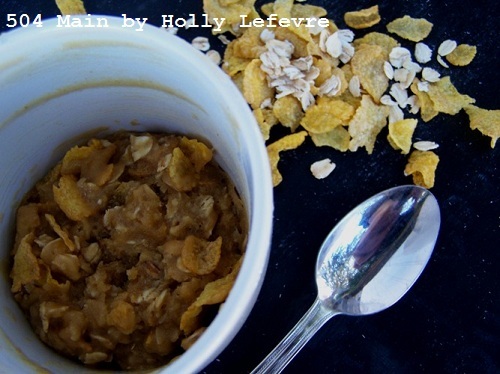 Add 1 1/2 tablespoons of Corn Flakes; mix well. and I have never gotten to know each other well enough! Enjoy your amazing warm from the (microwave) oven cookie! If you need a chocolate chip cookie, head over to No. 2 Pencil for her amazing recipe! Be sure to check out the Molten Marshamllow Fudge Cake in a Mug too! I see a lot of trouble in my future! Yum! I love all the cookies/cakes in a cup recipes!!! Holly, I love oatmeal cookies too. Do you think we could pass this one off as being "healthy." Well, it does, after all, have oats in it. Nay, but it's sure to be tasty! I must be living under a rock because I have never heard of this till now! looks yummy though! 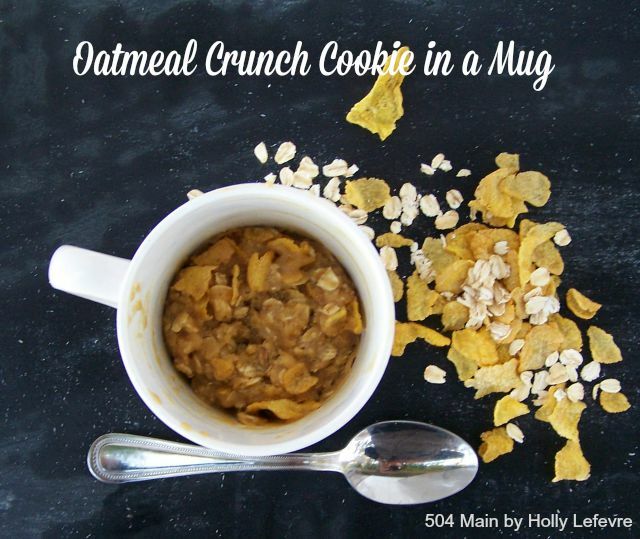 So, I'll just make 10 or 12 of these to satisfy my oatmeal cookie craving! LOL Looks so good on a cold day! Looks yummy! I love the quick mug desserts. So fun! Hmmm...each microwave takes a different amount of time. Did you cook for more than one minute? That could be the issue #1. Even if the top of the cookie does not look as done at 1 minute, let it cool and try it (kind of like when you take a cookie right out of the oven and it look moist still). The consistency/texture is thicker than what a cookie would be because it is in a mug...but maybe try a little less flour (2 T) and then add just a bit at a time to a more cookie like batter. 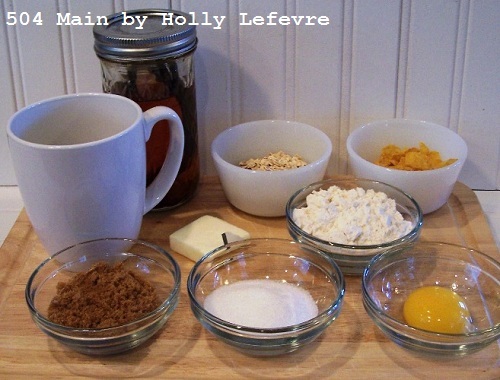 I definitely know what I am making for my next cookie craving!! This sound so scrumptious! 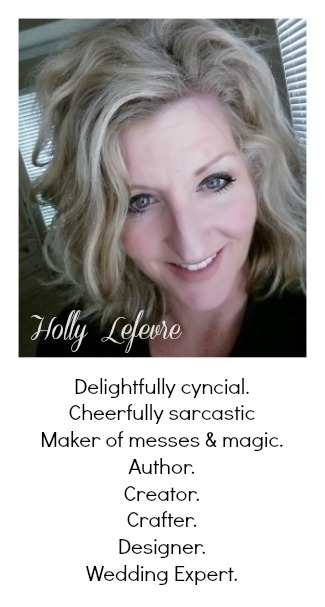 Thank you so much for joining the party, Holly! Ok I need to try making a cookie in a cup and definitely start with this one!! Looks amazing Holly! Pinned! Now I want cookies...and I am trying to do sugar free for a little while! This is going on my list to try later!! !